The purpose of the Lake Cavanaugh Fire Department Auxiliary is to support the Fire Department by raising funds for equipment and supplies not necessarily covered by the Fire Department budget. 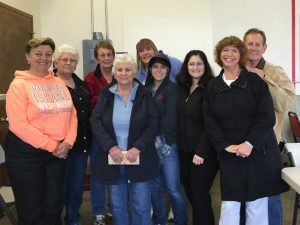 The auxiliary is instrumental in planning the annual Memorial Day pancake breakfast, selling t-shirts and Lake Cavanaugh wares, and the annual “Once Around Lake Cavanaugh” fun run/walk. New members are very welcome. The auxiliary meets the second Saturday of the month March through October at 10:00 a.m. at the Firehall.